Wonderful Sand Canyon Home on 1.92 acres with 4 + 4 and 3613 Sq.Ft. Formal LR with Fireplace & Formal DR; Upgraded kitchen with newer SS appliances, large island, extra food prep sink with additional counter space and walk-in pantry, all which open to breakfast area and family room with fireplace. Downstairs has a nice sized bedroom and a full bath attached, & a powder room. Inside laundry area with sink and door to exterior. Tile and carpet flooring and ceiling fans throughout. Spacious master suite, with retreat, fireplace, balcony with views, bright master bath, plus huge walk in closet. 3 Car garage, large front yard with fenced side yard. Backyard with views, Solar that is owned and can be added to, full copper plumbing right to street. Washer/Dryer/Refrig included. 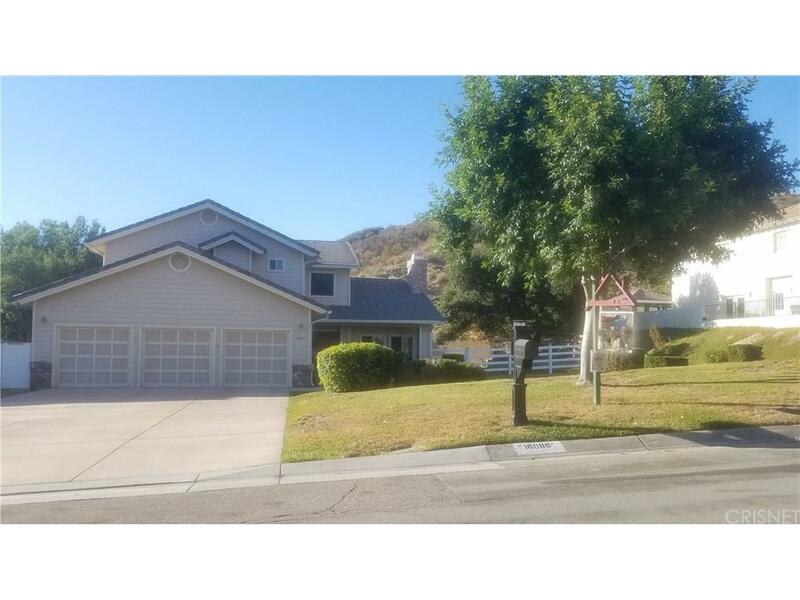 Close to golf course, shopping, entertainment, freeway, and several new developments. A MUST SEE.